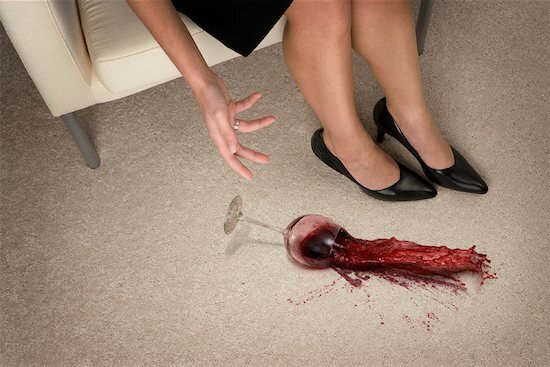 Carpets in your rental home can be disastrous if you spill something. We’ve gathered some helpful information to ensure your bond isn’t gone in a flash as a result of stains. Below are the 2 main types of carpets and the pros and cons of each. PROS: Repels natural body oils and fats (the type from the bottom of your footsies or from laying in front of the TV as we know all kids like to do). Kind of damned if you do and damned if you don’t really! So what can we do if we spill something? Carpets and How to Get Your Bond Back. Whether it be a dog, cat or child, the best thing you can do is to remove anything solid and clean with a damp cloth and some mild detergent, making sure to blot the area to draw out any liquid. Same applies as above although hopefully you don’t have anything chunky in your coffee. Grab a clean towel (preferably white so that you can see what’s coming out) and blot the area to draw out the liquid, cleaning afterward with a mild detergent. Apart from screaming at the kids, you will need a solvent based cleaner and this should be carried out by a professional. Don’t touch it. There’s a special gel that is only available to carpet cleaners that will remove the blu tac and gum without hassle. Trying to pick it out or rub it out will ensure that you make a mess. Again, leave it alone. Carpet cleaners have rust remover and will be able to clean these off for you. Even if the stain has been there for some time. If you have a wool carpet you should panic but all isn’t lost. Keep the area moist by placing a wet towel over it until the carpet cleaner can arrive. Once it’s left to dry, that memory of the Cab Sav isn’t going anywhere. Preen – it bleaches the carpet and lifts the underlay. I learned this the hard way by using stain remover. It’s for the laundry only! Your best bet is to consume drinks and food on hard floor surfaces and hide the pens and blu tac from the kids… but in the real world, accidents happen. 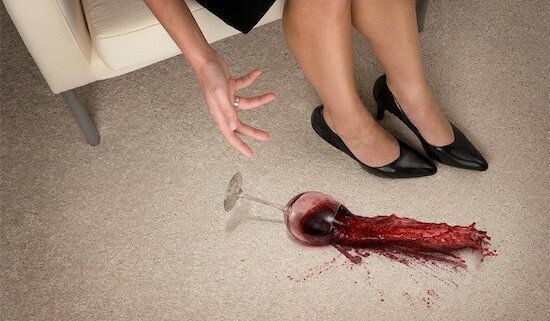 Little tip – The worst thing you can do is try and cover it up with a rug. We do check! It’s also important to have your carpets cleaned professionally on an annual basis. Leaving it for 5 years lessens the chance of carpets being returned to their former glory. Next article we will be discussing the difference between registered carpet cleaners and reputable carpet cleaners.